Read the scripts. Perform the plays. 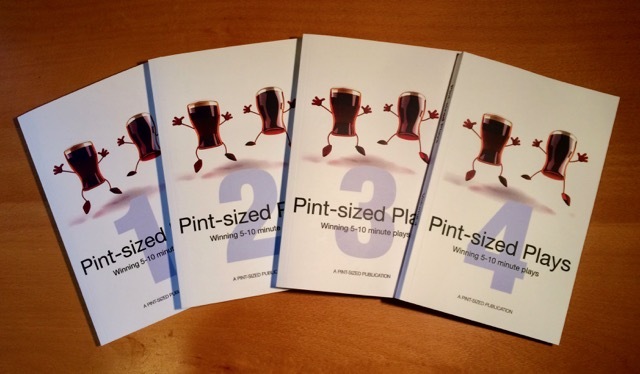 Four volumes of Pint-sized Plays now published! Pint-sized Plays is very pleased to announce that we're publishing a selection of winning plays from the past nine years. Four volumes are now published and we hope to publish further volumes as sufficient scripts become available. 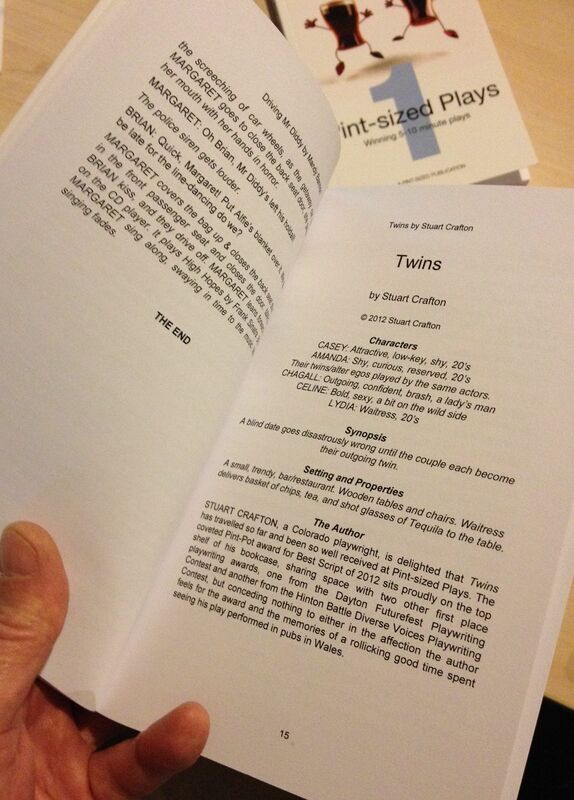 Each volume contains around 20 winning pint-sized plays, ideal for performance by professional and amateur groups in and out of pubs, and also very useful for drama schools and others looking for short, simply staged plays. The cover price is normally £9.99 for each volume, but you can order your copies here for just £8.50 each including p&p (UK addresses). Have a peek at what's in Volume 4! 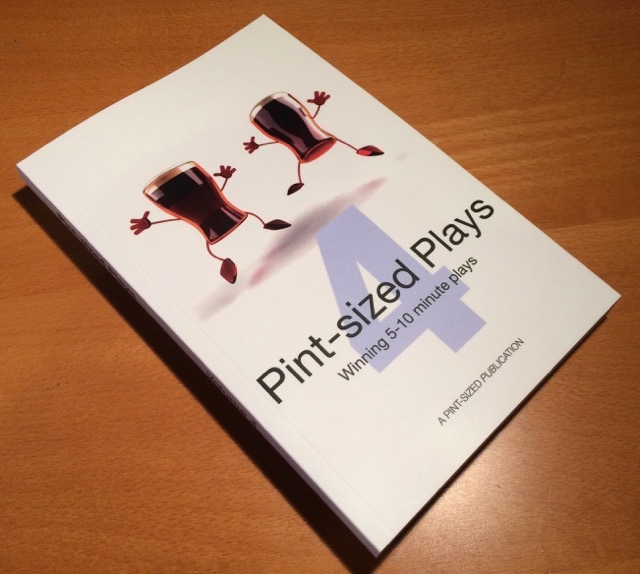 We're pleased to say that the fourth volume of Pint-sized Plays is now published. For a taste of what's inside, click here. Choose from the drop down menu your P&P inclusive price, depending on where you live, and click 'Add to Cart'. You can then enter the number of copies you would like and pay using PayPal or a credit/debit card. All books will be sent second class postage in the UK and airmail to the rest of the world. Important: Please select which postage option you require from the drop down menu!